DENVER: Ogilvy Public Relations has promoted SVP Tara May to GM of the firm's Denver office, the first on-site lead there. May succeeded Dushka Zapata, who was based in the San Francisco office and ran that and the Denver location. Zapata joined Ruder Finn as MD of the West Coast in November. After serving as an SVP at Ogilvy for two years, May will lead the Denver team of 14 full-time staffers, reporting to Ogilvy EVP Jon Wentzel. She has worked at Ogilvy on and off since 1992. May said her goal is to continue to grow the firm's business in Denver by raising awareness of its services. “We've had great leadership in the office in the past, but not with necessarily the assignment or purview of growing the business in the region. So the two-pronged goal of mine is to elevate the visibility of the office region and presence of Ogilvy in this market regionally, and then to generate new business,” she explained. The Denver office works on regional accounts such as Molson Coors and valve technology company Schrader, as well as global business such as Ford and Intel, said May. She added that while the office is fully integrated and works across all practices, she hopes to continue growth in technology, natural resources, clean tech, health, and bioscience. 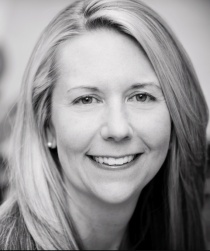 Prior to rejoining Ogilvy in 2010, May worked at subsidiary Feinstein Kean Healthcare as SVP since 2005. May first joined Ogilvy in 1992 in the Washington DC office, where she worked in public affairs. In addition to promoting May, Ogilvy appointed VP Kabira Hatland director of client services for OgilvyEarth in Denver. Hatland, who joined the agency in 2011, focuses on corporate and environmental communications. Before Ogilvy, Hatland worked at Clarus Communications, where she served as principal.